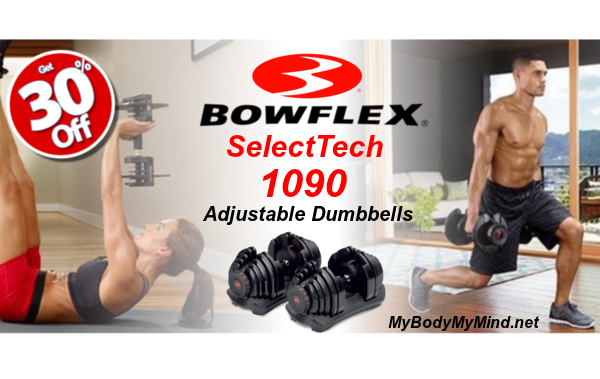 Check Out The Bowflex SelectTech 1090 Adjustable Dumbbells! 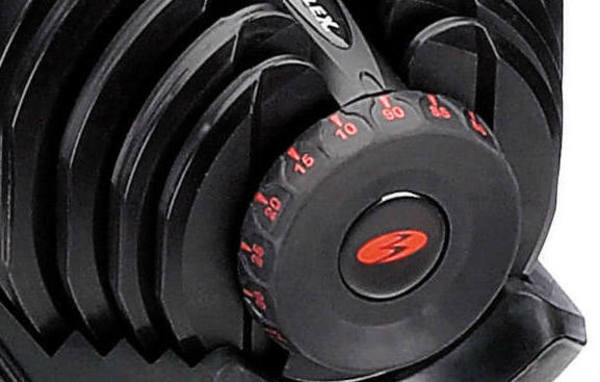 The Bowflex SelectTech 1090 Adjustable Dumbbells are the “Heavy Hitters” within the SelectTech lineup. These bad boys top out at an amazing 90 pounds a piece! If you read my last post, then you already know how much I like the lighter SelectTech 552’s. So it should be no surprise that I got my hands on the SelectTech 1090’s. Let me tell you that my feelings about the 1090’s run just as strong. Here again the flexibility to adjust the weights make these dumbbells perfect for everyone! The Bowflex SelectTech 1090’s range from 10 lbs (4.5 kg) all the way to 90 lbs (40.8 kg). You can adjust the weight by 5 lb (2.3 kg) increments, giving you 17 dumbbells in one! Benefits Of The Bowflex SelectTech 1090! To start with they do not take up a ton of room! 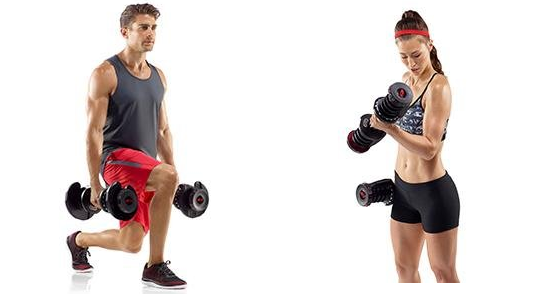 You would need 34 dumbbells to equal the versatility of just one pair of the Bowflex SelectTech 1090 Adjustable Dumbbells. Imagine how much space you would need for 34 different dumbbells. The SelectTech 1090’s are very easy to use. Just select your weight, set the dial and remove the dumbbell. Then to change the weight simply replace the dumbbell into the weight holder and adjust the dial, It’s That Simple! In addition to ease of use, it is also easy to move from exercise to exercise. This makes your workouts move smoother and faster, and who doesn’t like a little extra free time?! Another great benefit of the SelectTech 1090’s is being able to get more out of your larger muscles. With a greater weight range you can preform heavier exercises such as shrugs and lunges. In addition to lighter exercises such as curls and raises. The last thing I want to mention is the quality. The Bowflex SelectTech 1090 Adjustable Dumbbells are very solid, and the weights lock in nice and tight. That’s important in my opinion! Drawbacks Of The Bowflex SelectTech 1090! So for as much as I like the Bowflex SelectTech 1090 Adjustable Dumbbells there are a few things I do not like about them. First is the handle, unlike the other SelectTech Adjustable Dumbbells. 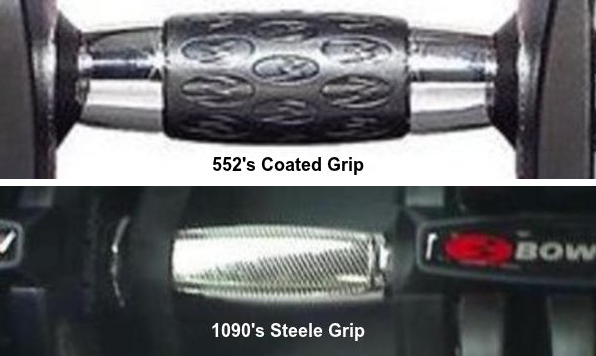 The 1090’s do not have a rubber coating on the handle. This makes it very uncomfortable with the heavier weight settings. *The easy fix to this problem is simply wear workout gloves when using the 1090’s. The second drawback is the length of the Bowflex SelectTech 1090 Adjustable Dumbbells. No matter what weight setting you are using, the dumbbell is the same length. (17.5″ L or 44 cm) This can make doing some of the exercises feel awkward. *It only takes a slight adjustment to correct the issue, and after a few workouts it should begin to feel normal. Lastly, the SelectTech 1090 Dumbbells are not meant to be dropped, or thrown around. Doing so could crack the platic coating on the weights as well as damage the weight locking system. None of these drawbacks are what I would consider a deal breaker. I am still recommending the Bowflex SelectTech 1090 Adjustable Dumbbells despite these minor issue. *Check out this short one minute video from Bowflex! This is a quick look at what you can do with these dumbbells! Bowflex SelectTech 1090 Dumbbells Sale! After taking the time to search for a great deal on the Bowflex SelectTech 1090 Adjustable Dumbbells. (searched 8 total vendors) What I found was that Amazon was offering them for the best price. Amazon has taken 30% Off of their List Price of $399. This saves you $119.39, bringing the price down to $279.61 per dumbbell! * That is the price for just one dumbbell. So if you want a set(2) you simply order two of the SelectTech 1090 Dumbbells. This brings the total price for the pair to $559.22, and FREE Shipping is available. That price is $40 cheaper than ordering directly from Bowflex and many other online vendors. As an added bonus Bowflex also includes the “Secrets of the 4-Step Rep” DVD with more than 30 exercises with each purchase! This will help you put together the perfect dumbbell exercise program for you! If you have been waiting to buy the Bowflex SelectTech 1090 Adjustable Dumbbells, the time is now! Why pay more? I have searched more than a half dozen vendors and this is the Best Deal around! Click the Blue Box below and take advantage of the 30% sale price today! Bowflex SelectTech 1090 Adjustable Dumbbells And Stand Bundle! Now, I have to tell you. You are going to want to order the Bowflex SelectTech Dumbbell Stand with your set of 1090’s. My brother learned this when he ordered the SelectTech 552’s. While the SelectTech Adjustable Dumbbells are great simply used from the floor. The stand just makes changing weights and moving from one exercise to another So Much Easier! With the stand the dumbbells are presented to you at a perfect height. This helps to prevent any back strains you may risk by picking them up from the floor. The Bowflex SelectTech 1090 Adjustable Dumbbells work great in either case. However if you are interested, Amazon is offering a Four Piece Bundle including the 30% Discount on the dumbbells! At the time of this post, Amazon is offering this great package deal for $728.22 plus FREE Shipping! That comes out to $169 for the Bowflex SelectTech Dumbbell Stand! Believe me when I tell you. If you purchase these dumbbells without the stand, you’re going to wish you had it. Take advantage of this Amazing Bundle Today! Just click the Blue Box below to get it all Now! *The Four Piece Bundle includes 2 Bowflex SelectTech 1090 Adjustable Dumbbells, 1 Bowflex SelectTech Dumbbell Stand and one “Secrets of the 4-Step Rep” DVD. *The 30% Discount applies to the price of the dumbbells only. One Final Thought On The Bowflex SelectTech 1090’s! One last thought for you before you grab your set of the Bowflex SelectTech 1090 Adjustable Dumbbells. If you have tile floors, linoleum floors, or wood floors. You might want to consider grabbing a rubber workout mat with your purchase. This is primarily to protect your flooring, 90 pounds (40.8 kg) of weight can do a lot of damage if you are not careful. These workout mats are not expensive and run around $20. ProSource Puzzle Exercise Mat is a perfect candidate for you to checkout. (pictured above) Currently priced on Amazon for $20.99 & FREE Shipping. Well Ladies and Gentlemen, I would like to Thank You for stopping by! If you have any questions or comments about the Bowflex SelectTech 1090 Adjustable Dumbbells please leave them in the comment area located below. Or if you prefer you can contactme directly via email, and I will get back to you as possible. Next Post Next post: Bowflex SelectTech 5.1 Adjustable Bench – Save Over 30% Today! Wow! I had know idea that there was anything like the Bowflex SelectTech Dumbbells. What a great product! My husband and I have turned our basement into a home gym. I am glad I came across your site, I think these would be perfect for the space we have allotted for the gym! Thank you so much for taking the time to share this wonderful information with us. Congrats on your new home gym! I think you will find that the Bowflex SelectTech 1090 Dumbbells are perfect for any home gym. Shelli I recommend you discuss this with your husband, and get yourself a set of these, you won’t be disappointed and neither will he@! I had no idea that things like the Bowflex SelectTech 1090 Adjustable Dumbbells were around. It certainly takes care of the space problem. Dang another excuse gone. Before long I will have to setup the home gym my wife has been wanting. You are correct, another excuse out the door! When the time does come for you to create that home gym for your wife, you will definitely want to consider the SelectTech Adjustable Dumbbells. Not only do they save you a ton of room. But paired with the SelectTech Dumbbells Stand they make switching from exercise to exercise fast and easy. This helps speed up your workouts thus also saving you time along with space. Another thing they help you save is money, even with the cost of the stand. To purchase 17 pairs of dumbbells to equal the Bowflex SelectTech 1090 Adjustable Dumbbells, it would cost you somewhere in the neighborhood of $1100. That is with out the storage rack you would need to keep them up and out of the way. It is easy to see why so many other people have made these dumbbells a part of their own home gyms. I really think you and your wife will be completely pleased with the Bowflex SelectTech 1090 Adjustable Dumbbells! This is an awesome review on this space saving home gym equipment. I have a home gym and boy are you are right about space saving. My home gym is in the garage and takes up half of the garage. I wish my husband would have seen these before he invested into all of his weights. I really like the fact that the BowFlex dumbbells are adjustable and save space. I would also prefer the rubber handle. Another thing, that I like is the price, the price is pretty cost effective. When I first started reading the review, I thought for sure the BowFlex SelectTech 1090 Adjustable Dumbbells would be overpriced but, to my surprise they weren’t. Thank you for sharing this…If I know anyone looking into buying a home gym. I would be sure to refer them here. Have an awesome day! If there is one thing the Bowflex SelectTech 1090 Adjustable Dumbbells have going for them. It is that they save a ton of space! They make up for 34 individual dumbbells in just one pair! 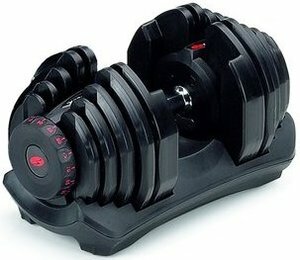 While some people may think paying a little over five hundred dollars for a pair of these dumbbells. You just have to consider that it would cost well upwards of $1000 to purchase all of those other dumbbells. Then you have to get them all home, which could easily take multiple trips to a sporting goods store. Another great thing is that you can get the shipped for Free! Can you imagine what it would cost to have 34 dumbbells shipped? With each pair weighing and costing more the the previous, that would add up real quick! Since I have started to use the Bowflex SelectTech 1090 Adjustable Dumbbells I have become a huge fan. They allow you to move from workout to workout with a simple turn of the dial. This has helped to speed up my workouts, and when I am done, I just simply put them out of the way on the Bowflex SelectTech Dumbbell Stand. After all who wants to have a bunch of dumbbells to pick up after a good hard workout?! La’Kisha thank you for stopping by and sharing you thoughts, I love hearing from the site users. 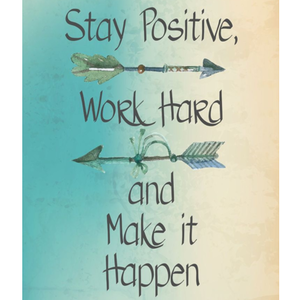 You have an awesome day as well!